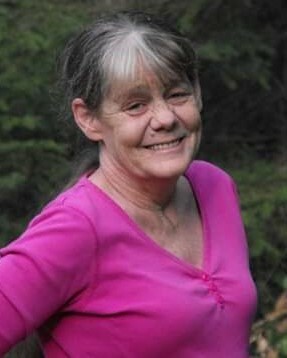 Stephene Lynn Mann (Lynn) passed away peacefully in her Maple Falls home after a long battle with COPD, on Wednesday, January 23, 2019, at the age of 61. On May 10, 1957, Lynn was born to her father, Paul Steven Fesler, and mother Ramona Jo Hudson in her hometown of San Bernardino, California. Lynn pursued a career as a caregiver for many years and was a Guardian ad Litem in the State of Washington. As a lover of nature, animals and life itself, she was always doing something to give back. Lynn made a friend everywhere she went and touched the hearts of every person she met. Lynn’s family is always first priority and she would do anything to make sure they were happy. Lynn survived by her loving husband, Larry Mann of Maple Falls; children, Danielle Mann (Josh Corona), Kendall WA, and Tyler Mann (Nichole Ball) Arlington WA; grandchildren, Mataya Mann, Brooke Ball, Jesse Mann, and Aubrey Mann-Corona; sister LeeAnn Fesler (Alfredo Barranco), Maple Falls; brother-in-law Mark (Annamaria) Mann, Maple Falls: sister’s in law Marla (Roger) Kniewel, Omaha NE, Laurie Coughlin, Reno NV, Melissa (Layne) Clark Logan IA, Launa (Graeme) Brinton Sacramento CA: and numerous cousins, nieces and nephews. She was preceded in death by her parents, beloved aunts and uncles. A celebration of her life is planned for this summer per Lynn's wishes. Those that are interested in attending can send friend requests to Lynn's Facebook page https://www.facebook.com/lynn.mann.399 We will be monitoring it for requests and to add people to her friends list if they are not already listed. The event and location will be posted on her page once arrangements have been made.